Following the proposal by the Director of Tourism, the Centre granted funds for 23 beaches in Dakshina Kannada, Udupi, and Uttara Kannada. The beaches in Surathkal, Someshwar, Ullal, and Talapady (Batpady) and Sultan Battery were the places proposed for development in Dakshina Kannada for which Rs. 13.78 crore was allocated. While the Someshwar and Ullal beaches were proposed to be developed as family beaches, Surathkal beach was proposed to be developed as a tourists’ beach. 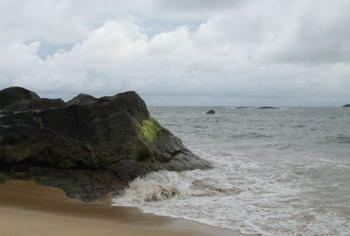 The serene Talapady beach, which borders Kerala, was proposed to be developed as a beach for nature lovers. Facilities at the Sultan Battery, which has a watch tower built by Tipu Sulatan, were proposed for improvement to make it convenient for local people. The list of requirements for each of the five places were common. Apart from improvement of approach roads, it was proposed to have, among other things, pedestrian seating, landscape walkways, high-mast lighting, lifeguard watchtower, kiosks for food and beverages, and rescue boats. The Karnataka Rural Infrastructure Development Ltd. (formerly known as Karnataka Land Army) was appointed as the nodal agency to execute the works. While works in Udupi and Uttara Kannada related to the scheme are nearing completion, it is yet to kick start in Mangaluru. According to Assistant Director (Tourism) Tejamurthy, KRIDL sent an estimate in 2014 about requirements at each of the five places. It was returned from the Director of Tourism as it did not factor in all the requirements of the five places. On the same reason, the KRIDL’s estimate was returned for the second time too. Director Tejamurthy said an estimate was sent by KRIDL for the third time in November 2016 by factoring the actual need of walkways, high-mast lighting, and other components. “We are awaiting approval of this estimate by the Tourism Director,” he said.